I was digging around in one of my scrap folders, and I found this quilted background. It has to be at least 8 years old. I used a punch to cut squares out of Basic Gray paper, glued them onto a scrap of white, and then used my sewing machine to stitch around the squares. The finished card measures 4.25 x 4.25 inches. Supplies: Stamp – Stampin’ Up!, paper – Basic Gray scraps, Papertrey Ink Vintage Cream, Stampin’ Up! Bermuda Bay, ink – VersaFine Onyx Black, die – Taylored Expressions, square punch – Stampin’ Up!, embossing powder – Ranger Silver Pearl. 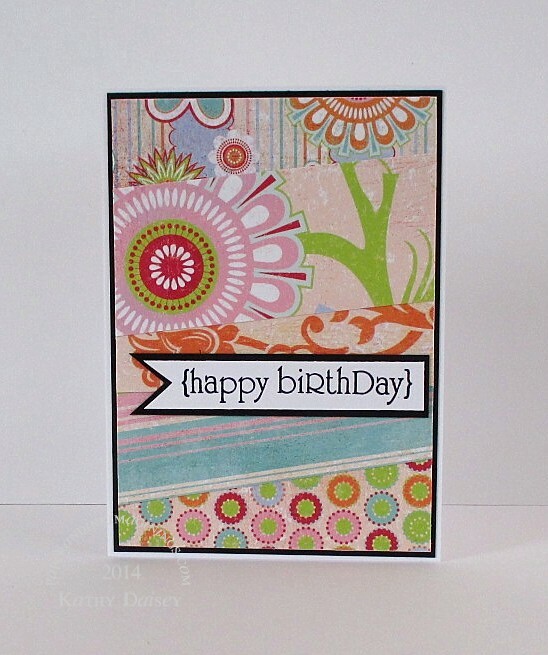 Categories: birthday, card | Tags: Basic Grey, card, Papertrey Ink, Ranger, Stampin' Up!, Taylored Expressions, Tsukineko, VersaFine | Permalink. For the little ghouls and goblins! With my offspring grown, I do miss the excitement of Halloween for kiddos. Not at all the same as an adult. Supplies: Stamps – Stampin’ Up!, paper – Basic Grey, Cloud9Design, Neenah Classic Crest Solar White, Papertrey Ink Vintage Cream, PopTone Sour Apple, Stampin’ Up! Only Basic Black, Orange (retired), Wisteria Wonder, ink – VersaFine Onyx Black, dies – Spellbinders (rectangle), Taylored Expressions (banner), punches – Stampin’ Up!, embossing powder – Filigree Fine Art Powder clear, ribbon, thread – Stampin’ Up!. 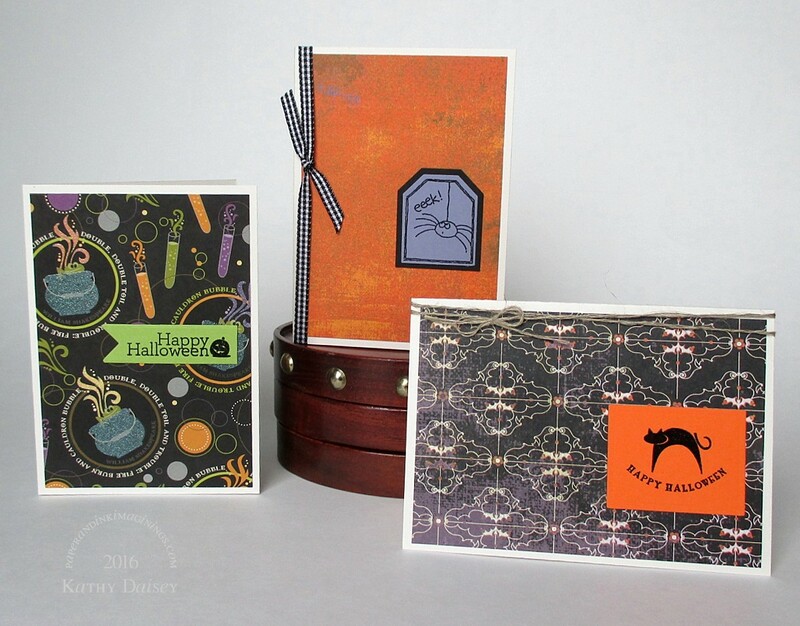 Categories: card, halloween, note | Tags: Basic Grey, card, Cloud9Design, Neenah, Papertrey Ink, Poptone, Stampin' Up!, Tsukineko, VersaFine | Permalink. I read a few weeks ago that BasicGrey is leaving the scrapbooking world. Unbelievable, since I have loved their papers for the entire 12 years they were in the industry. I do have a few scraps (maybe even a few full sheets) of their paper left in my stash. This one with the pencils and markers is just adorable, happy and light. Supplies: Stamp – Hero Arts, paper – BasicGrey, Neenah Classic Crest Solar White, Stampin’ Up! Wild Wasabi, ink – VersaFine Onyx Black, dies – Spellbinders, embossing powder – Filigree Fine Art Powder clear. 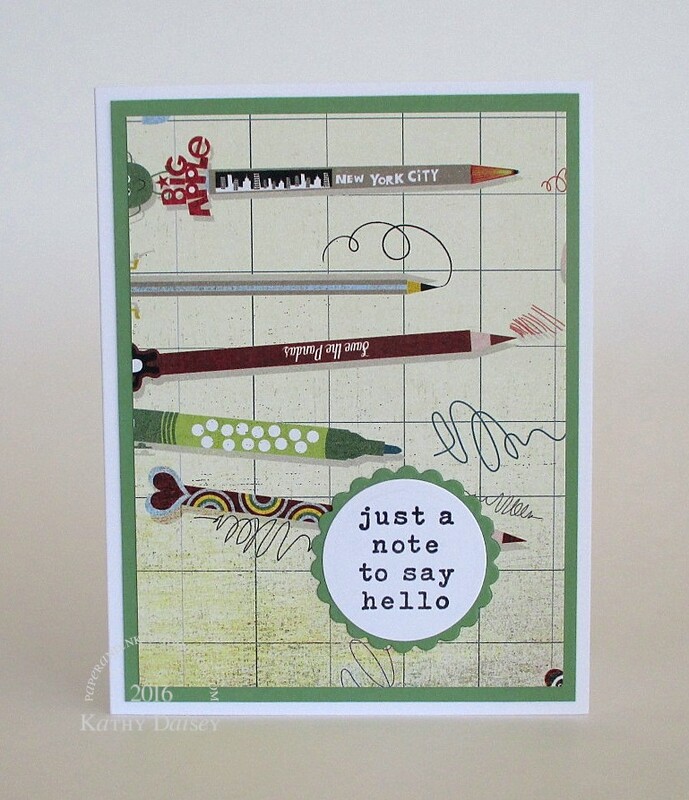 Categories: card, caring, thinking of you | Tags: Basic Grey, card, Hero Arts, Neenah, Spellbinders, Stampin' Up!, Tsukineko, VersaFine | Permalink. I am down to my last sheet of Basic Grey Romani Romany paper…I love this paper! It is probably came out in 2007, and every time I went into Recollections, I would buy another sheet. I found in the fall that Offspring3 had squirreled away a few sheets in the abandoned craft supply stash – and I did a happy dance! There is a layer of vellum behind the tangerine butterfly – difficult to see. Supplies: Stamp – Stampin’ Up!, paper – Basic Grey Romani, Papertrey Ink White, Stampin’ Up! Marina Mist, Tangerine Tango, ink – VersaFine Onyx Black, dies – Impression Obsession (butterfly), Spellbinders (circles), embossing powder – Ranger Liquid Platinum, organdy ribbon – JoAnn’s. Categories: card, caring, thinking of you | Tags: Basic Grey, card, Impression Obsession, Papertrey Ink, Spellbinders, Stampin' Up! | Permalink. One of Offspring2’s friends celebrated a birthday recently. This friend is studying architecture. Over spring break, Offspring2 had friends over and I did not have time to clean up my crafting mess, and the friends were all a bit surprised – “your mom does WHAT?”…except for the architecture student. He has been over twice since then to create. I am hoping he “gets” this mixed media creation! Supplies: Stamps – A Muse Artstamps, Stampin’ Up!, paper – Basic Grey, Canson Watercolor, Papertrey Ink White, Stampin’ Up! 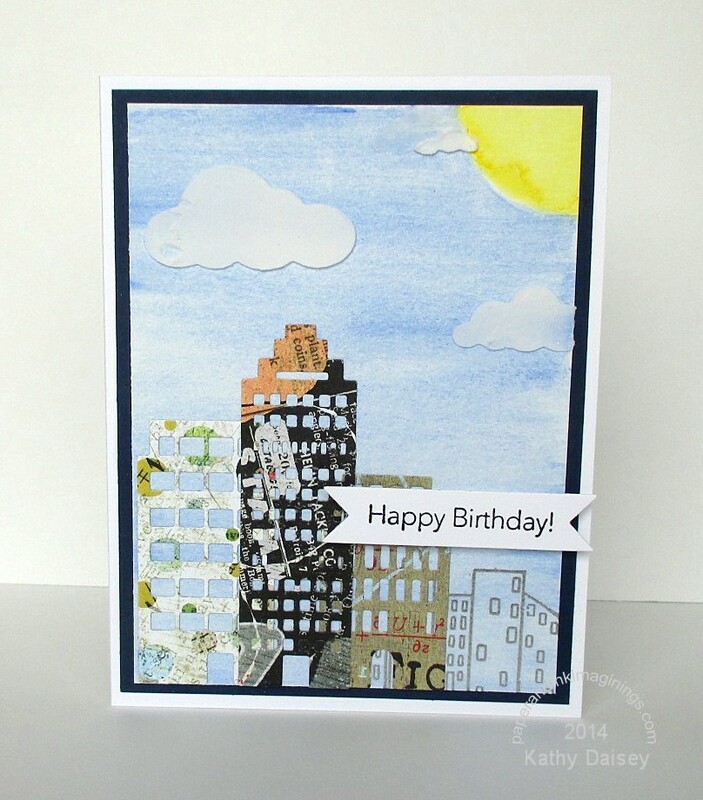 Night of Navy, ink – VersaFine Onyx Black, dies – Hero Arts (city scape), Memory Box (clouds), Stampin’ Up! (banner), generic watercolor paints, embossing powder – Filigree Fine Art Powder clear, Dreamweaver embossing paste. 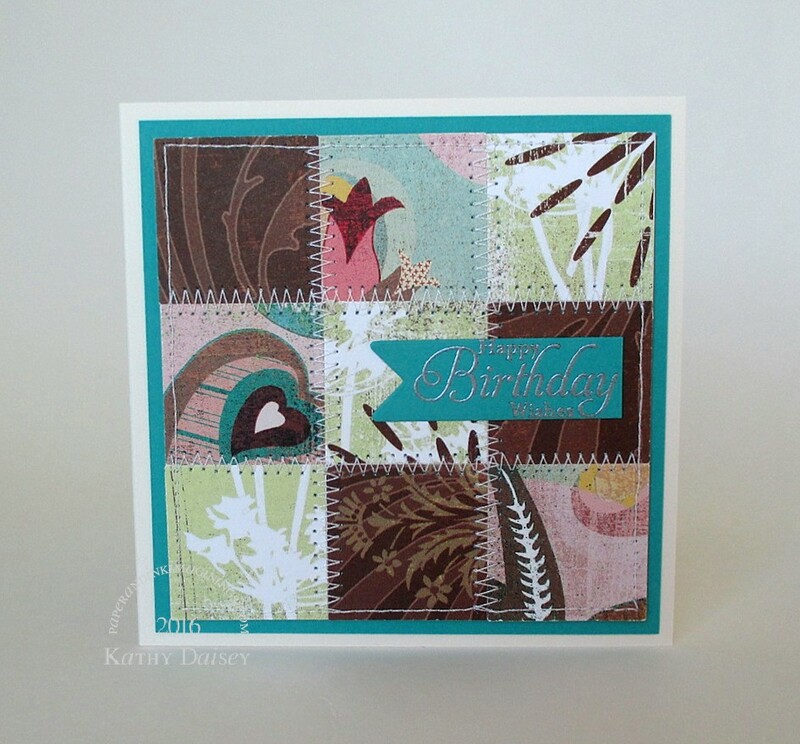 Categories: birthday, card | Tags: A Muse Artstamps, Basic Grey, Canson, card, Dreamweaver, Hero Arts, Memory Box, Papertrey Ink, Stampin' Up! | Permalink. 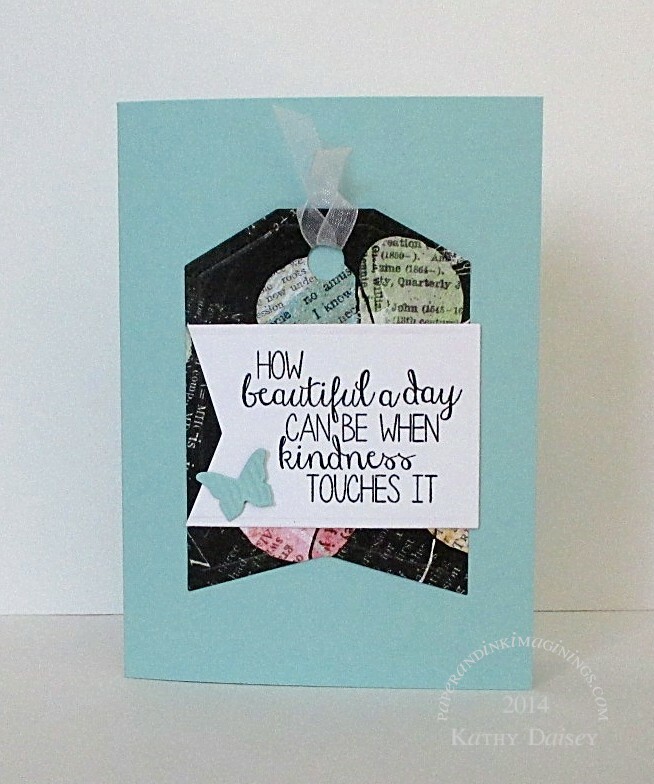 How would you use the sentiment, “how beautiful a day can be when kindness touches it”? I think it would make a great thank you note, but also a great encouragement note (maybe to someone…like me…who sometimes needs to not look past the little things while focusing on the big picture?). Supplies: Stamp – Reverse Confetti, paper – Basic Grey, Papertrey Ink White, Stampin’ Up! Pool Party, ink – VersaFine Onyx Black, dies – Reverse Confetti (tag), Spellbinders (rectangle that I fishtail cut to be banner), Stampin’ Up! (butterfly), embossing powder – Filigree Fine Art Powder clear, organdy ribbon – JoAnn’s. 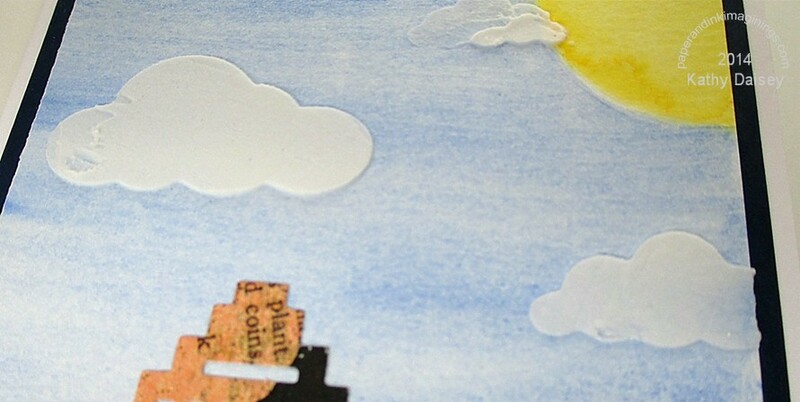 Categories: card, encouragement, thanks | Tags: Basic Grey, card, Papertrey Ink, Reverse Confetti, Spellbinders, Stampin' Up! | Permalink. Nothing new and earth shattering today. Just a few cards made out of scraps left on my craft table (or in my scrap folder). Thanks for stopping by! Supplies: Stamp – Stampin’ Up!, paper – Basic Grey Romani, Papertrey Ink Kraft, White, Stampin’ Up! Pool Party, ink – VersaFine Vintage Sepia, die – Taylored Expressions, embossing powder – Filigree Fine Art Powder clear, twine – Martha Stewart. Supplies: Stamp – Stampin’ Up!, paper – Papertrey Ink White, Stampin’ Up! Concord Crush (retired), Vera Bradley coupon birthday card, ink – VersaFine Onyx Black, enamel dot – Stampin’ Up!, die – Spellbinders, embossing powder – Filigree Fine Art Powder clear, twine – We R Memory Keepers. Supplies: Stamp – Papertrey Ink, paper – Basic Grey Romani, Papertrey Ink White, Stampin’ Up! Basic Black, ink – VersaFine Onyx Black, embossing powder – Filigree Fine Art Powder clear. 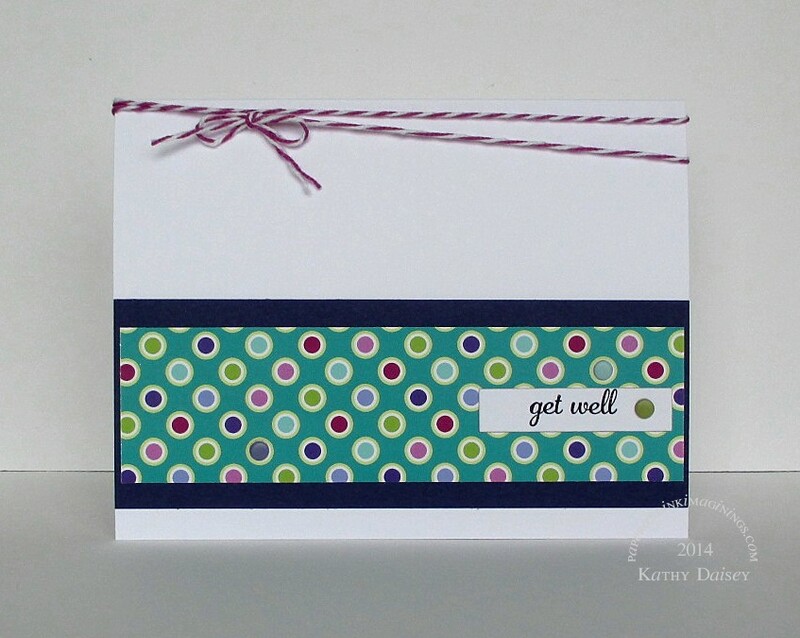 Categories: birthday, card, get well, thinking of you | Tags: Basic Grey, card, Martha Stewart, Papertrey Ink, Spellbinders, Stampin' Up!, Taylored Expressions, We R Memory Keepers | Permalink.